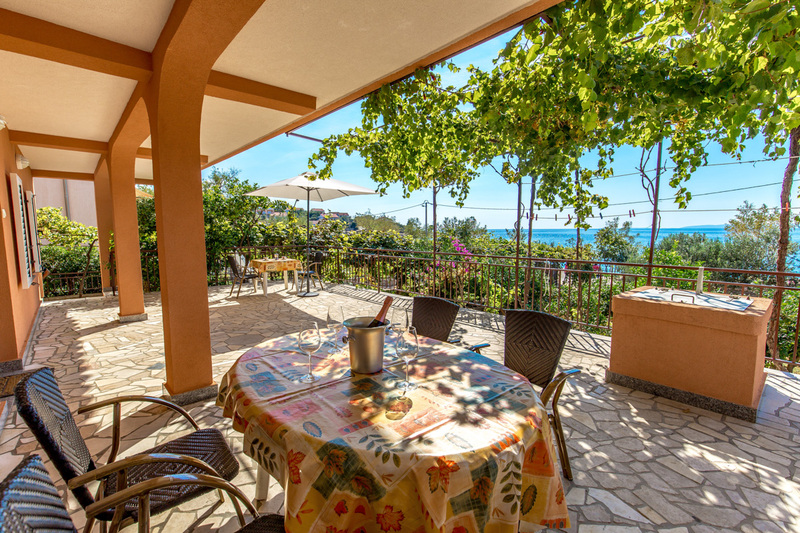 Punta Longa apartment is located on the ground floor of the house and it is ideal for couples, families or groups of friends of max.8 persons. Decorated in a mix of modern and traditional style it has 3 bedrooms, 2 bathrooms, a kitchen, a living room and a big terrace with a shower. Also, it has an outdoor terrace with a barbecue. 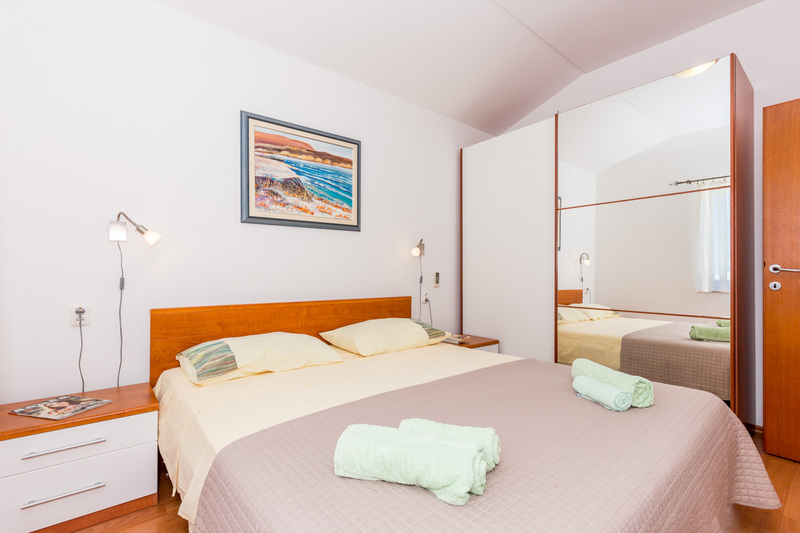 Golden Olea apartment is located on the second floor and it is perfect for couples, friends or families of max. 4 persons. The modern apartment consists of one bedroom with a double bed, a kitchen, a bathroom, an outdoor terrace and a living room with couch that can be transformed into a pull-out bed for two persons. 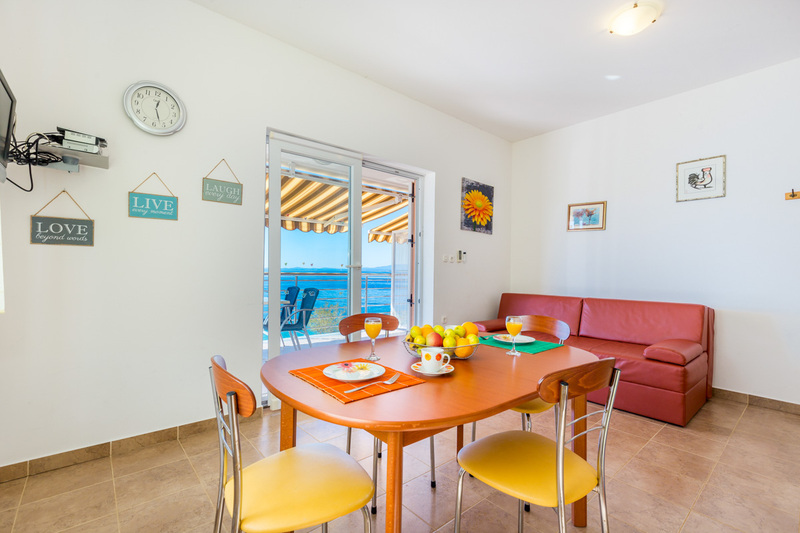 Simply Red apartment is located on the second floor and is perfect for couples, friends or families of max. 4 persons. This modernly decorated apartment has one bedroom with a double bed, a kitchen, a bathroom, an outdoor terrace and a living room with a couch that can be transformed into a pull-out bed for two persons. 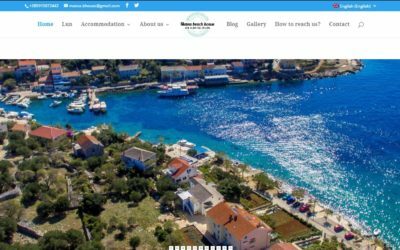 We present you with our new website!